Everything in your life says something about who you are. So, why not your car lift? Imagine coming home to a garage that’s a showplace of elegance and organization, as well as a car lift that’s not just a tool, but the centerpiece of your space. 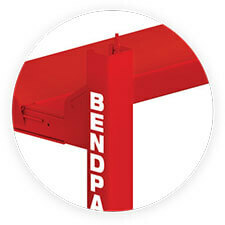 BendPak lets you customize your lift with the color that best suits your garage’s interior design. Gunmetal Gray is our standard color, but for a fee, choose from sleek Graphite Black, classic BendPak Blue or race-inspired Seca Red. In 2016, we conducted extensive market research among past, current and prospective car lift customers. We asked them if they preferred our then-current blue—the same color we had been using for decades—or new Gunmetal Gray. Our suspicion was that Gunmetal Gray would be more attractive to buyers: it blends better in most garage environments; it looks sleeker and more modern; it signals a willingness to adapt to the times. Our inspiration came from the technology sector. After all, our smartphones and computers are overwhelming sleek, dark and less flashy. Our customers agreed! Overwhelmingly, votes poured in for Gunmetal Gray. Of course, we can’t speak for every single customer’s preference. Classic BendPak Blue is still available for your car lift—with a nominal fee—and that offering is not going away. 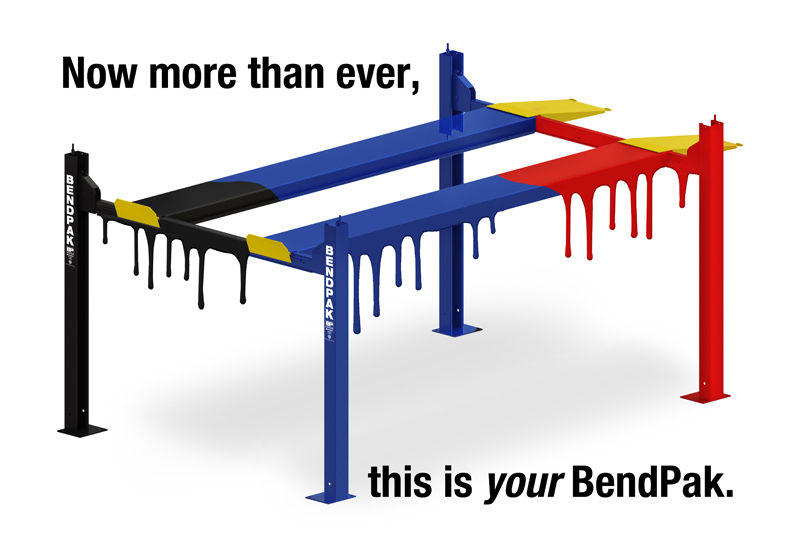 You deserve the ability to match new lift purchases with your existing color scheme. We also have Graphite Black and Seca Red. Have another color in mind that we don’t offer? We can accommodate it! There will be a fee, but we can customize your car lift with a color scheme limited only by your imagination. All you have to do is ask!